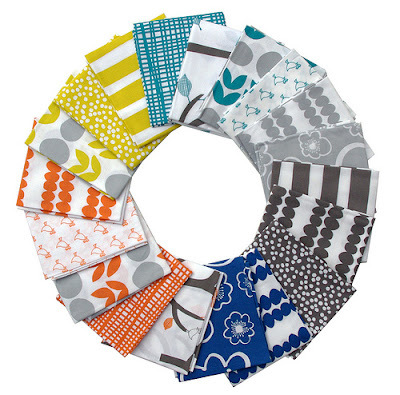 Bella is Lotta Jansdotter's second fabric collection for Windham Fabrics (following last year's popular Echo collection). 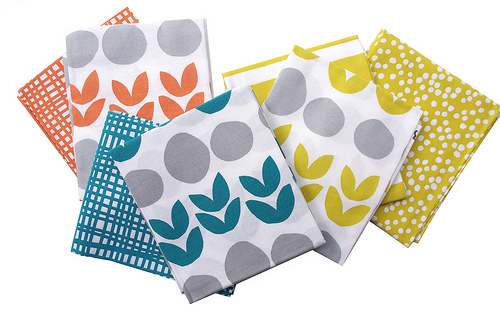 It is a sunny and Summer-y collection, with simple bold designs in a fine selection of complimentary colors. I have been patiently obsessively checking online stores for one of the scarce pre-cut bundles of Bella released at Spring Market, and finally had success last week when I happened to stumble across it by chance. Tropeçar?Eu quero um tombo assim...Beijos. The teal colour is beautiful - I really like Echo and this range is just as lovely! I love the grays in that line!!!! 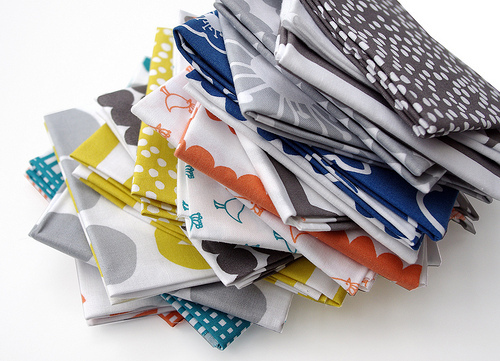 Who is so *peep* to give away this fabric? Trying to wait patiently; it's proving to be very hard. Like a spoilt child, I want it yesterday! Look like they are compatible to Lucy's last line! Love the designs and colors ~ have myself signed up to be notified when Bella comes in to Hawthorne Threads! The collection is fabulous! The colors are so modern! I'm looking forward to seeing what you create with them! so jealous of your stash! Beautiful! I love the line! Delayed gratification and fabric do not go well together for me. Can't wait to see what you create! 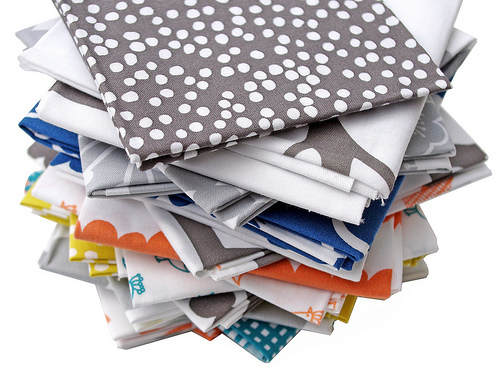 Temptation to buy even more fabric, yes, that's exactly what I need! You lucky devil you! I would love to have my hands on this line. With so many WIP going now, I have no idea why I'm in such a hurry! LOL Have fun.